We at Racing Junk are just getting into telling you about all the awesome things in the world of off-road racing and 4-Wheelin’. We’ve run a couple of short news stories that told you about off-road vehicles and races/events and their results. 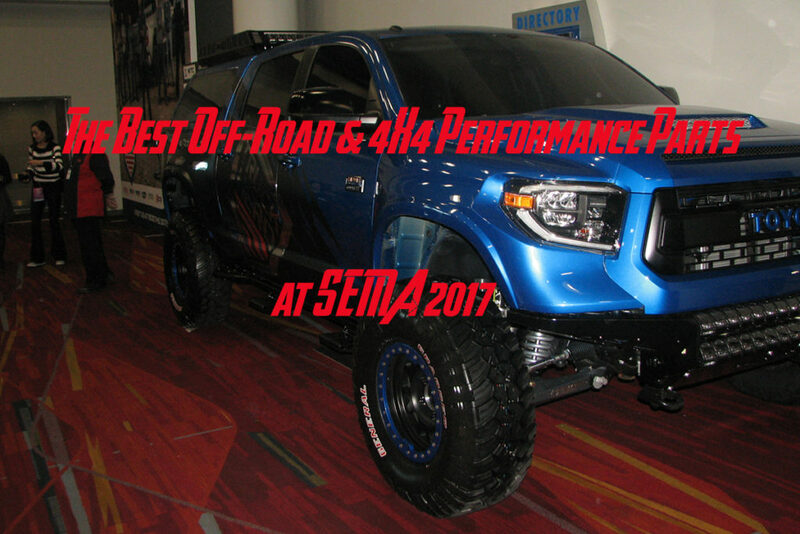 Today, we’re going to give you a run-down of the best new off-road and 4X4 products introduced at SEMA 2017. 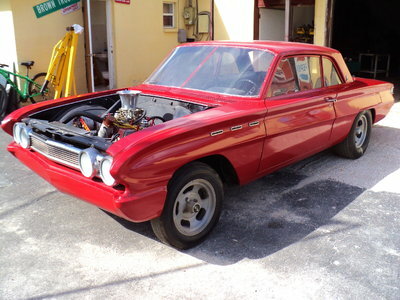 We’re not going to go into brush guards, fender flares and steps or any other cosmetic upgrades, though. We’re going to give you our picks for the best parts that will actually make your vehicle more capable and safer off-road. We’re going to show you products from Titan, Holley/Accel, MaxTrax, SuperSprings, Specialty Products/SPC Performance and Wiseco. The Titan Trail Trekker II fuel tank gives you the confidence to safely go farther than ever before. Never again will you have to worry about staying close to “base-camp” where the extra fuel is, or staying relatively close to “civilization” and the gas stations it entails. 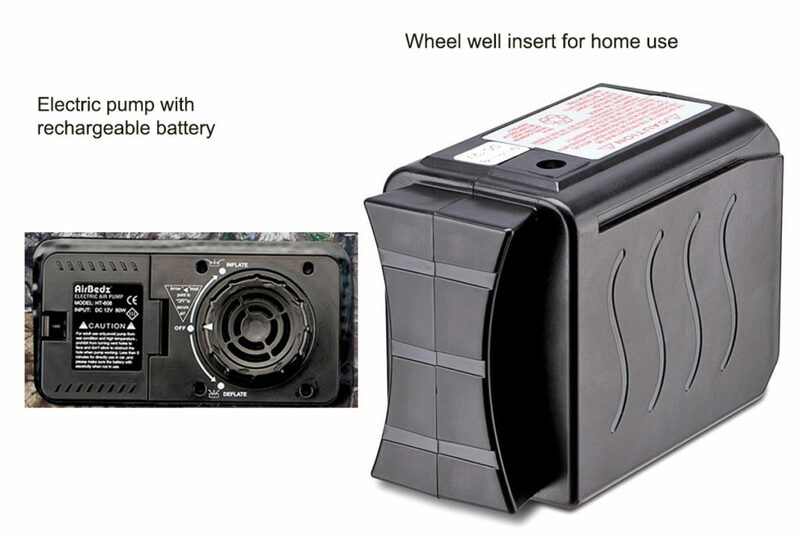 This external extra fuel tank has you covered to allow you to go that extra mile. This fuel tank from Titan Fuel Tanks won a top new product award at the SEMA 2017 Show last week because it lets you bring along extra gas in case your main tank runs dry. 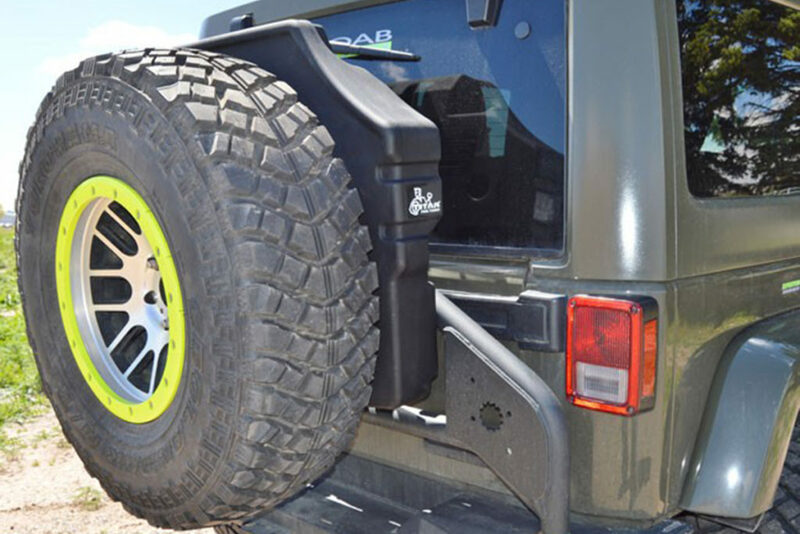 Instead of the dangerous Jerry Cans that can come loose, bounce around and become a hazard, this one is designed to bolt between your Jeep Wrangler’s rear gate and the spare tire on five-inch, six-inch and eight-inch bolt patterns. This year’s version looks better than ever before and also gives you improved rear visibility over earlier versions. The tank is made of cross-linked polymers that are military-grade for extra strength. and it’s backed by Titan’s Lifetime Warranty, so you know it is not only secure but also tough and durable. Titan also built extra safety features into the tank that most others don’t have: It’s fully-grounded so the risk of fire and explosion are greatly reduced, and the venting system gives it superior rollover protection. The 12 gallons that the tank can hold can mean the difference between getting back to camp after a day in the rocks and spending a night out in the middle of those rocks. 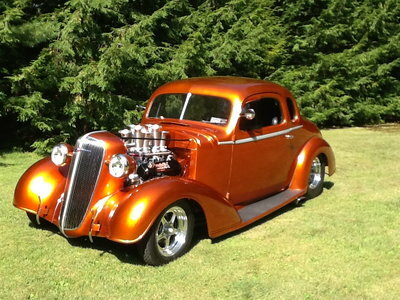 The SEMA new products judges awarded it a runner-up as one of the best new products. 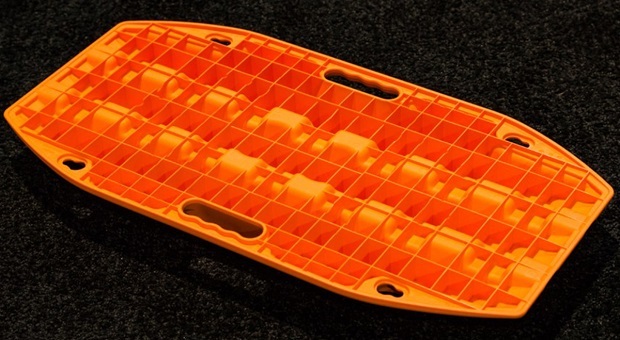 The upper, wheel side of the JaxBase, whether you’re using it to get unstuck or as a base for your jack. 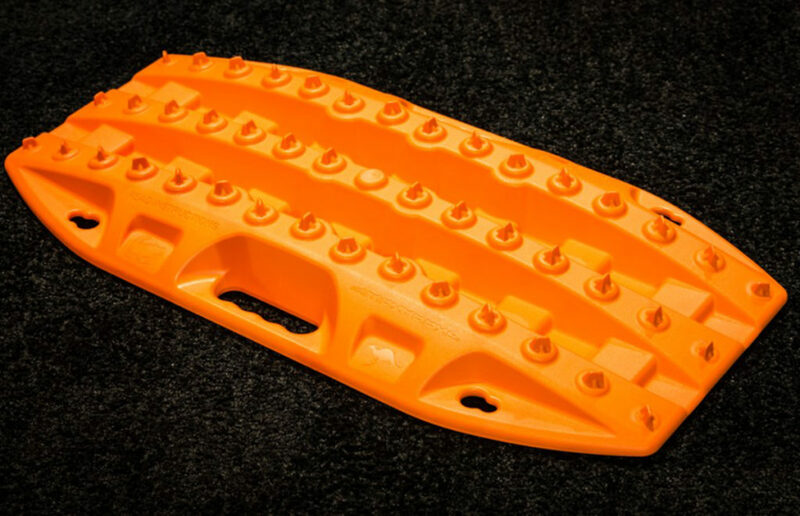 Whether you’re stuck in snow, mud or ice or you get a flat tire while driving on them, MaxTrax has you covered. The Australian company makes a line of ultra-strong reinforced nylon traction enhancement products that are UV-stabilized so they will remain the same bright and vivid color they were when you bought them for as long as you own them. 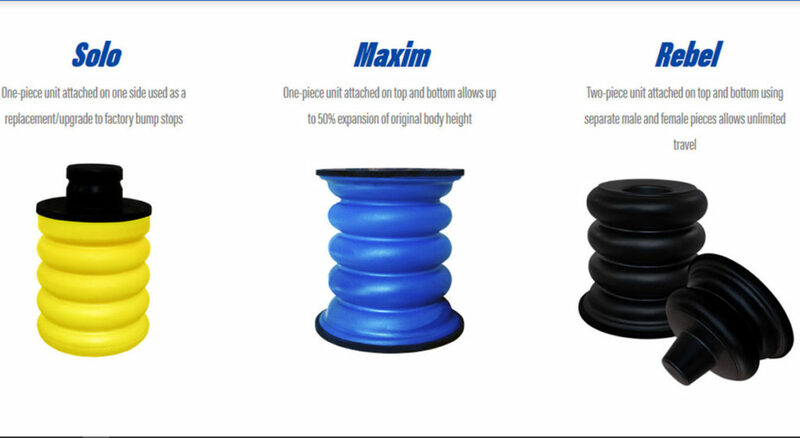 Their JaxBase is a new product designed for two purposes: to help you get unstuck and to give you a solid base for a jack. This is the side that faces down. SumoSprings from SuperSprings International, Inc. 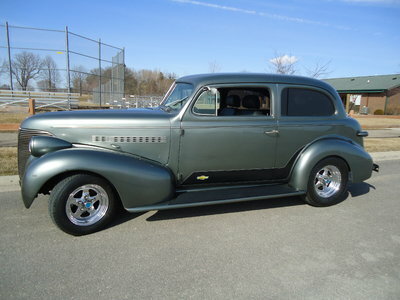 I don’t have to tell you that whether you’re driving an autocrosser, daily driver or a lifted off-road rock crusher, suspension jounce that’s severe enough to jam up against the bump stops can shake fillings loose. It’s not good for your chassis or suspension either, to be honest. 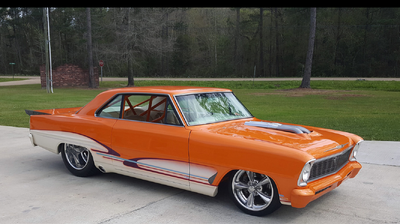 What we need is something to replace the stock bump stops that are almost rock hard; something that has varying degrees of give when the suspension approaches full compression. SuperSprings heard your fillings rattling on the floorboards and came out with SumoSprings as the answer to all of our prayers. These little pieces of closed micro-cellular urethane should have been selected as one of the top new off-road/4X4 products of the year at SEMA, but they weren’t. Here’s how they work: They’re about twice the height of your stock bump stops, so they come into play about two to three inches (of suspension travel) before the stock rubber stops do. 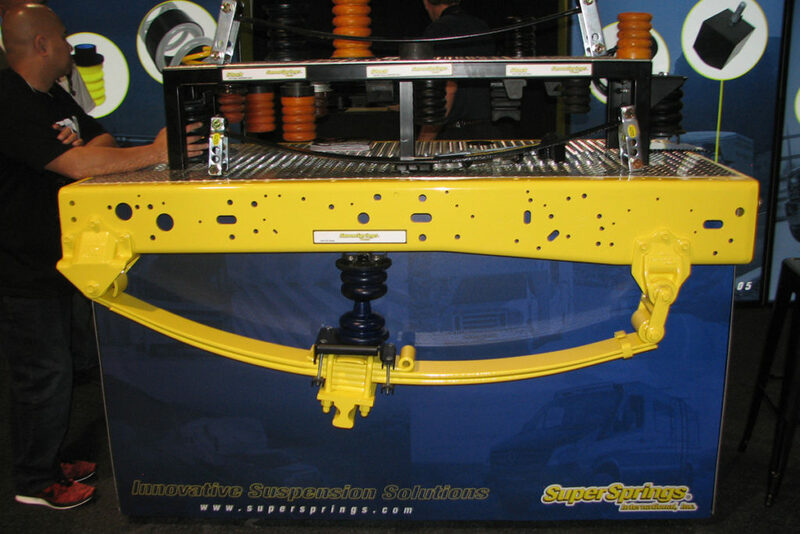 As the underside of the frame comes into contact with the SumoSprings, they begin to compress and slow the suspension travel with an increasing amount of counterforce. Let’s put it this way: Stock bump stops feel like being body slammed on a wrestling mat, whereas SumoSprings feel like hitting a stunt airbag off a one story building. Tell your dentist to forget about that vacation on the Riviera – you’re buying SumoSprings. One problem often encountered when lifting and installing bigger tires on four-wheel-drive trucks is that doing so radically changes the suspension geometry. This can cause drift while driving on or off road, which can be dangerous. 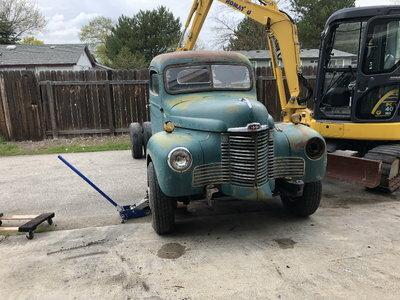 Caster that’s been radically changed by lifting can also cause bigger tires to drag in the wheel well, especially when turning. This screen capture from a Specialty Performance video shows what happens to your suspension geometry as you lift your truck. Specialty Performance Products/SPC Performance has you covered, though. 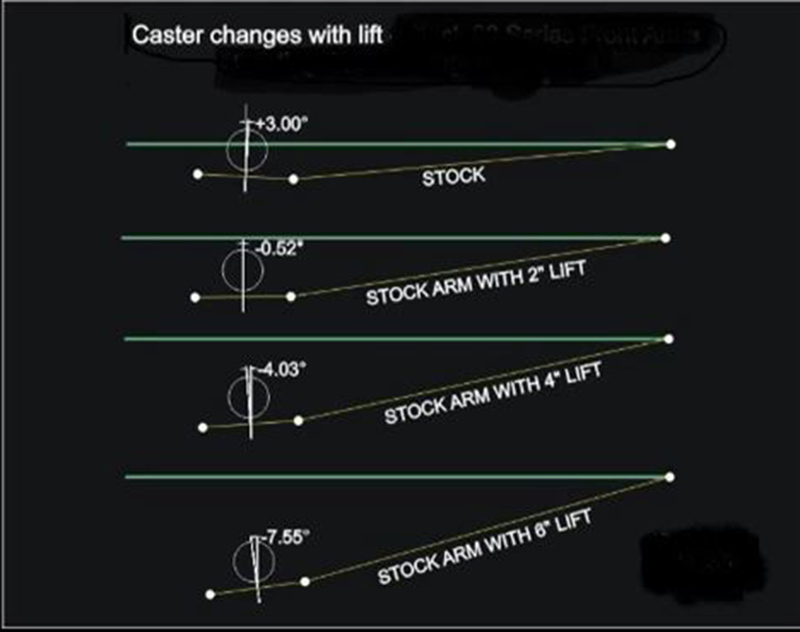 Their new adjustable front upper control arms for Toyota trucks allow you to correct not only caster issues caused by lifting and the installation of big mud tires, but the camber issues these upgrades cause. In fact, these adjustable front upper control arms give you the ability to change camber by up to two degrees in either direction (positive or negative) and caster by up to four degrees positive. 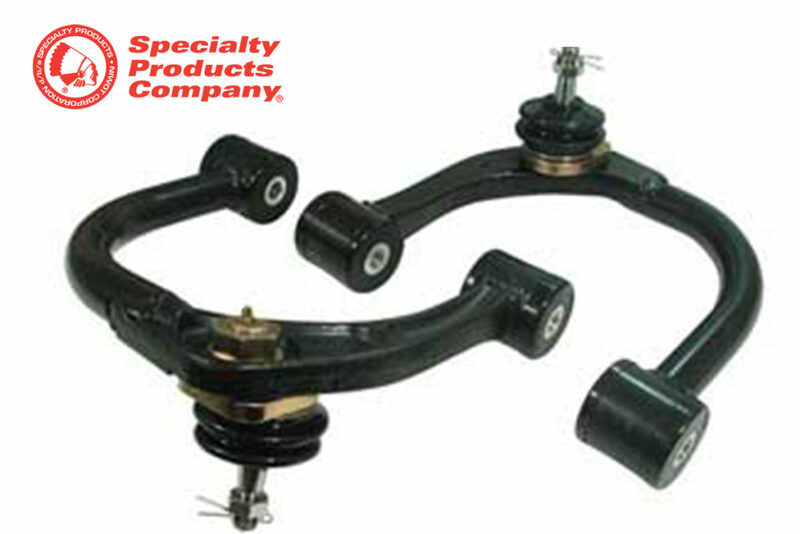 The ball joints also have an incredible 84 degrees of deflection, whereas the OEM joints only offer 60 degrees. 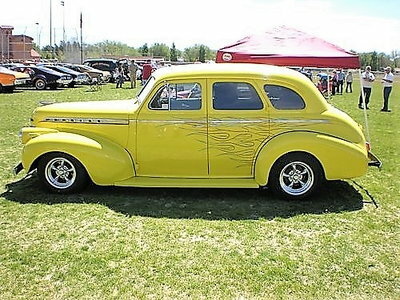 Camber and caster are adjustable by the use of a camber eccentric on the lower control arms, which is a large washer with the hole for the bolt offset to one side. 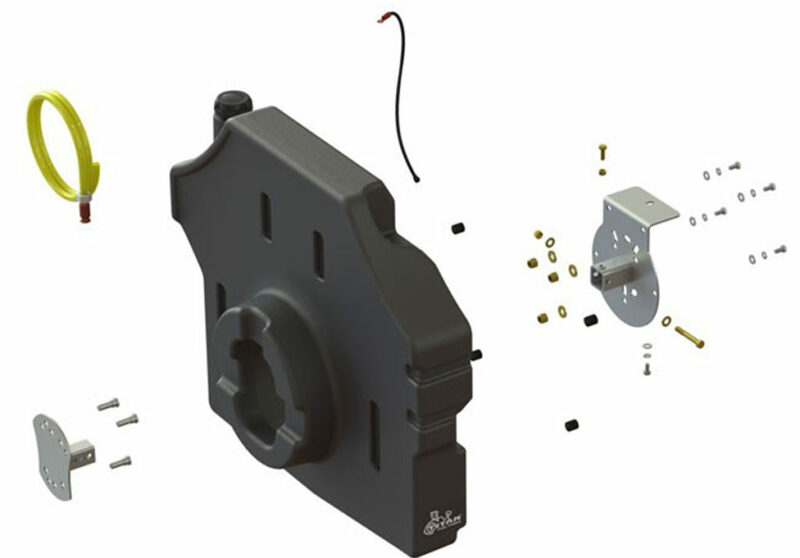 Caster is also adjusted by removing the load from the suspension and changing the orientation of the keyed rectangular washer on top of the control arm. Not only will installation and proper adjustment of these control arms make your truck safer and easier to drive, it’ll also save you money in tire wear. 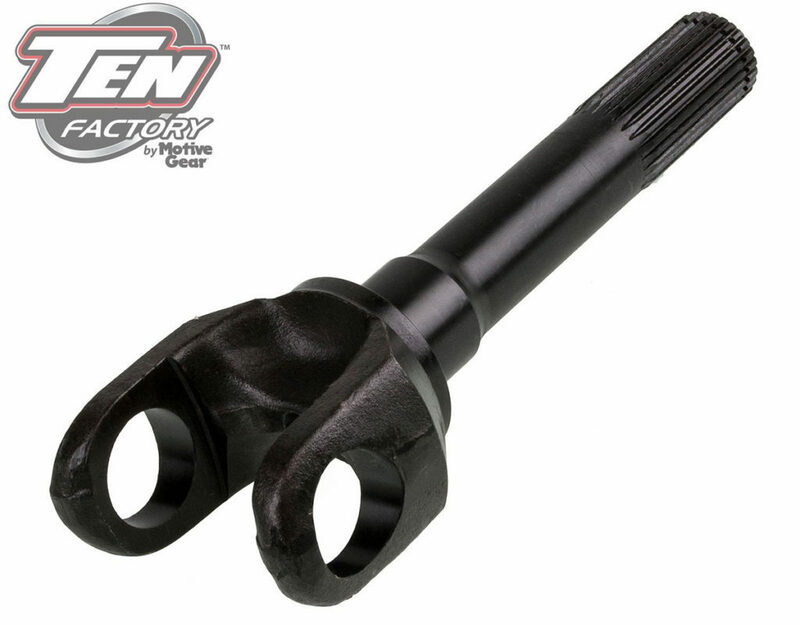 TEN Factory uses the latest advances in technology when they design and manufacture these axle shafts. Once they’re forged, milled and heat treated, they’re given a strong black oxide finish so they look good as well as being strong enough to offer you a ten year warranty. 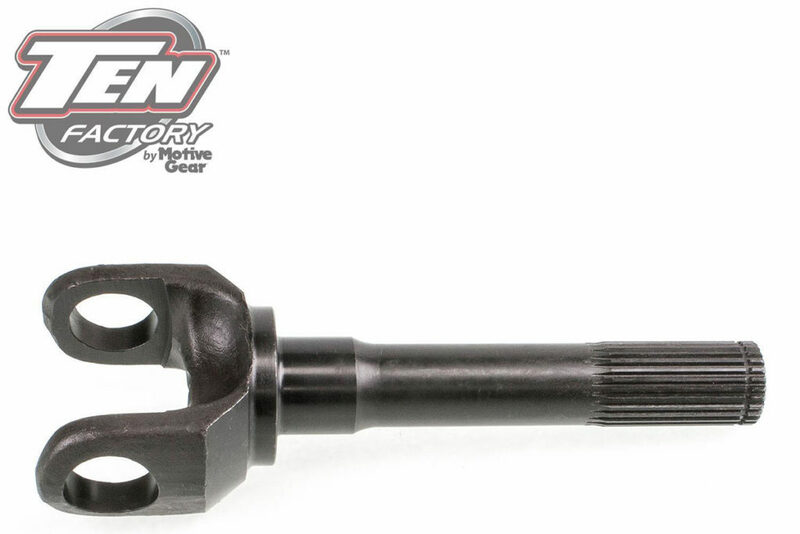 These axles have 27 splines, are made from 4340 chromoly and are 32.31 inches in length so they’re exact matches for the OEM units your older Jeep already has. Hey dirt bikers, I bet you thought we forgot about you. Well, shame on you for thinking that. 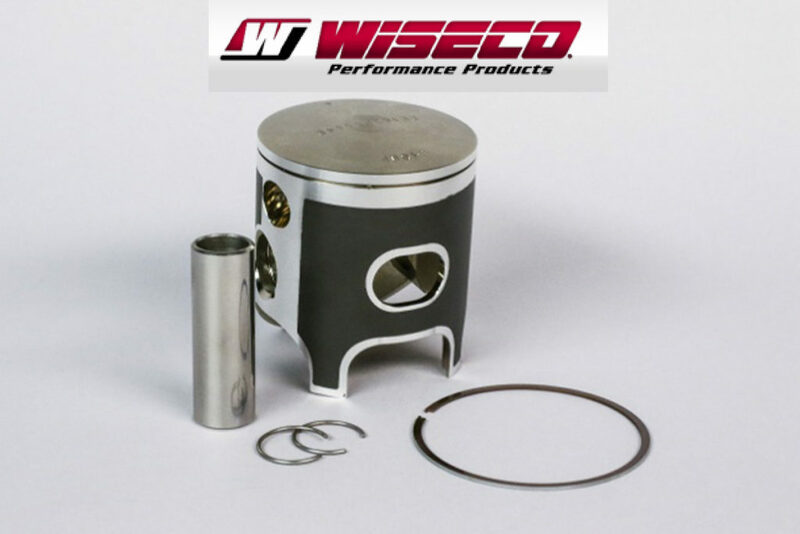 Wiseco introduce a new line of Racer Elite pistons for two-stroke dirt bikes. These pistons are all forged and make use of the latest materials science and precision machining equipment to deliver pistons that are stronger, perform better and last longer than the originals. 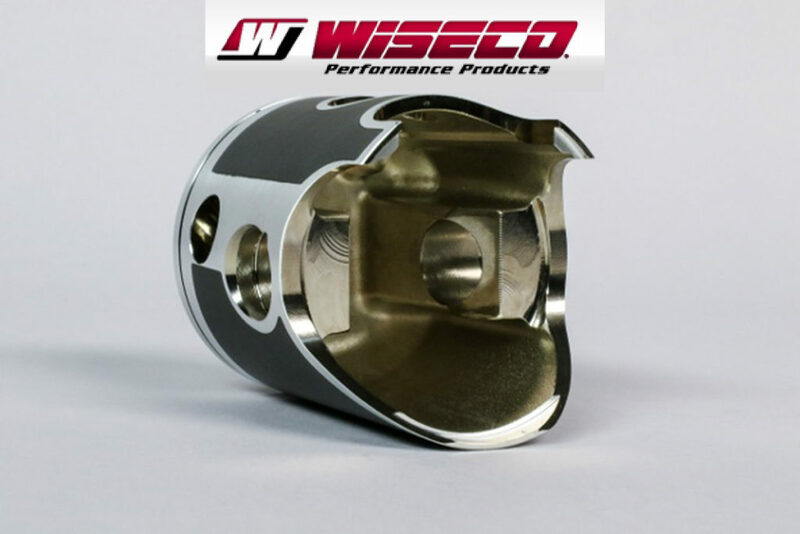 Since they’re for two-stroke engines, it’s not coincidental that Wiseco named them Racer Elite 2-Stroke Series pistons. These pistons are made for 2002-2018 KTM 125-SX and 2014-2018 Kawasaki KX85 bikes. Two stroke engines are notoriously difficult to find pistons for that are the perfect size for the cylinder bore. Wiseco got around this problem with something they call ArmorFit. 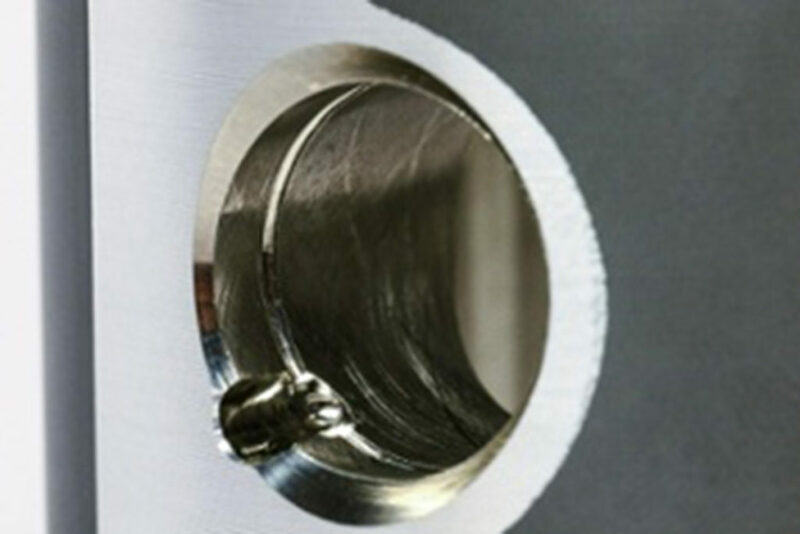 This is a new technology coating on the piston skirt that allows it to adjust itself to fit any cylinder bore. Extreme close-up of the proprietary ArmorPlate coating that make Wiseco Racer Elite and Racer Elite 2-Stroke Series pistons so strong. I don’t know about you, but I love air mattresses, both at home and out camping. The problem is that even at home sitting on top of my bed’s box spring, they seem to develop leaks all too soon, and those leaks can be a pain in the you-know-what to find and fix. That’s why I was so stoked when I came across the Airbedz booth in the South Hall at SEMA. In fact, that’s why I went back and visited their booth at least once on all three days. 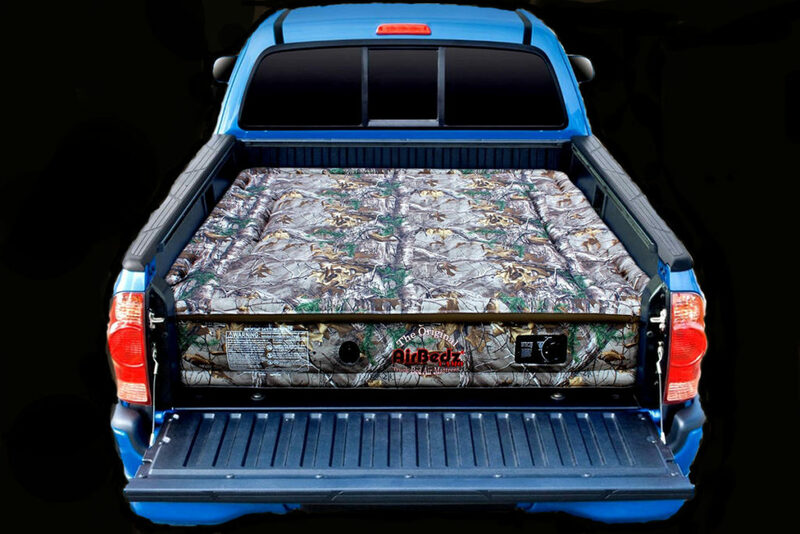 The Truck Airbedz air mattress from Pittman Outdoors is designed to fit perfectly in the bed of your truck. It requires minimal maintenance and care. I poked one of the ones they had on display with my keys a few times, and not only did doing so not provoke an angry reaction from the Airbedz rep there, it didn’t provoke the leak in the mattress I was expecting. That’s because they’re made out of a material that is at least twice as strong as the material in a standard airbed. They’re big, fluffy and comfy too. Like I said, they’re designed to fit perfectly, and I mean perfectly, in the bed of your truck; they’ve even got indents for the wheel wells. You don’t need a tiring hand pump or an electric one with a long cord, either, because they come with a built-in electric pump powered by a rechargeable battery. 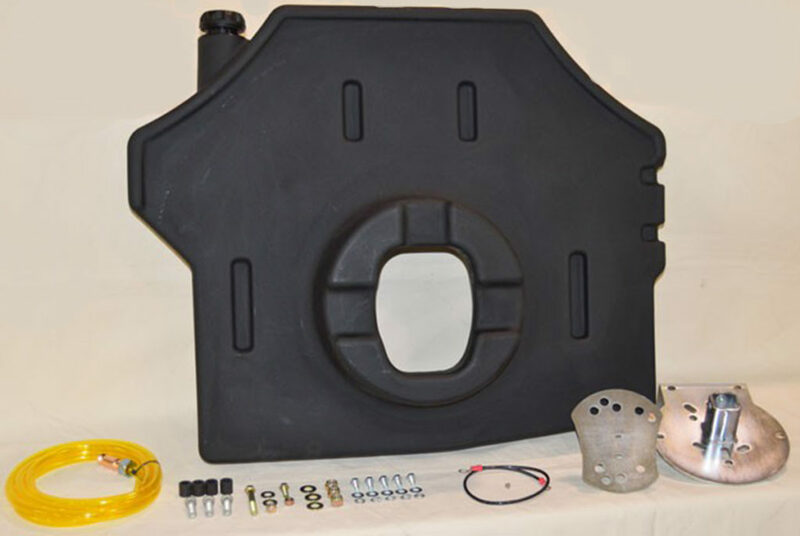 Even better, Pittman offers an optional set of inserts that fit into the wheel well cutouts so you can be just as comfortable at home as you are out in the great outdoors.